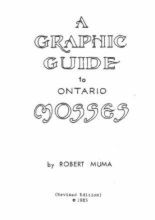 After he retired, my father (Robert Muma) became very interested in mosses. 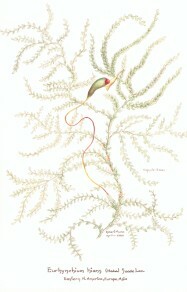 His approach was both scientific as well as artistic, and both were rooted in his lifelong love for the natural world. He has since passed away, and I have made his materials available to people, both on my website as well as printed copies for sale. My primary purpose in making these materials available is to keep his work alive and available. They are reasonably priced in order to help achieve this goal. All proceeds from sales go towards keeping this website and my other websites online. 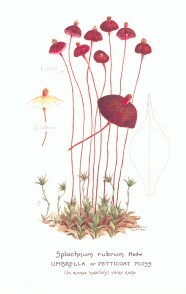 "The World of Mosses" - Robert Muma's famous moss cards. 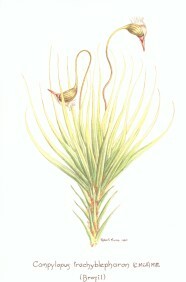 There are 62 of Robert Muma's moss paintings and sketches reproduced on this site. Now, all of these are available as reprints.